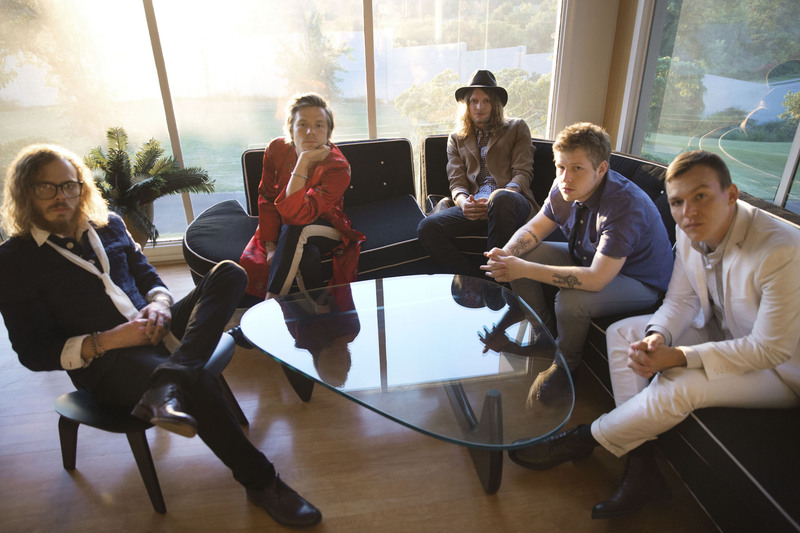 Kentucky rockers Cage the Elephant release their third album, Melophobia, tomorrow. Recorded in Nashville with longtime producer Jay Joyce, Melophobia marks a new direction for the band, both musically and lyrically. We sat down with lead singer Matt Shultz to discuss lyrical experiments, art, and honesty in songwriting. Melophobia is by definition fear of music. What does the name mean to you? On this record, for us, it wasn’t necessarily an actual fear of music, but a fear of making music to project premeditated images of self rather than being an honest communicator. Do you think being honest is important to songwriting? I think being honest in general is important, but especially in songwriting. Because there’s things we are able to say through creative works that we’re not able to say face to face sometimes. Recently with my lyrics I’ve wanted it to be comparable to if your parent or grandparent was on their deathbed and you were trying to say all the things you wish you’d said before. When I write songs I almost try to take a snapshot of where I was at the time. Where were you this winter when you were writing Melophobia? Most of the year I was between Kentucky and Nashville, though I also spent a lot of time in a cabin in Portland, Tenn., working on music with the band. I spent a lot of time with friends that are in bands in the area too. And then I spent a little bit of time in France. Speaking of Nashville, you’ve been playing there since very early on in the band. What does it feel like to go from The Basement to the Bridgestone Arena, where you opened for Muse last month? It feels pretty cool to play Bridgestone. We didn’t headline it so it wasn’t really our show, but it was still an honor to play. I think it’s more about the people that fill the venue and less about the venue. Can we talk about these drawings you did? What got you into drawing them? 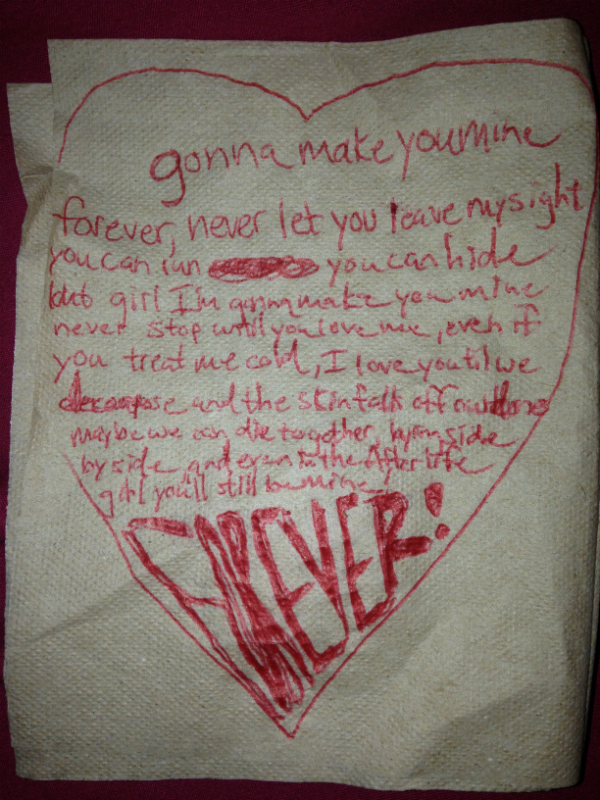 Honestly, it’s just kind of doodling. 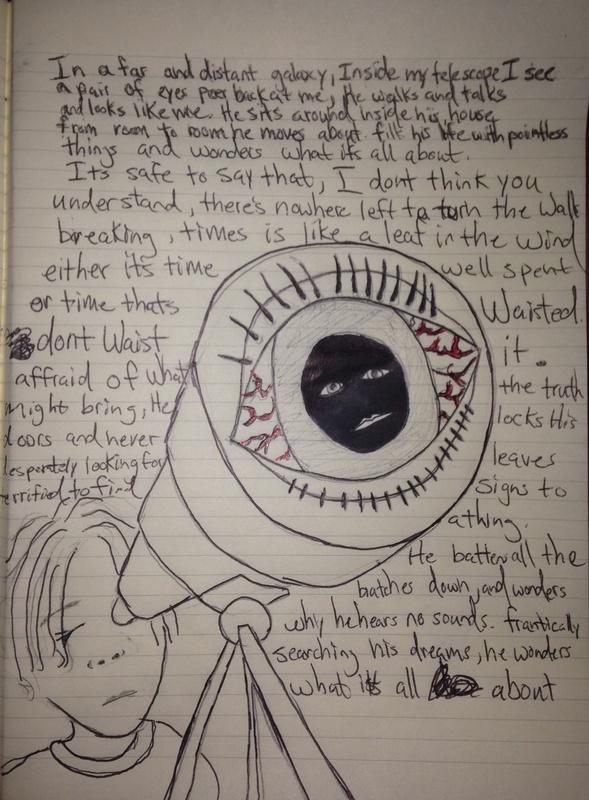 Sometimes when I’m writing lyrics, I’ll draw a little picture as a visual reference. 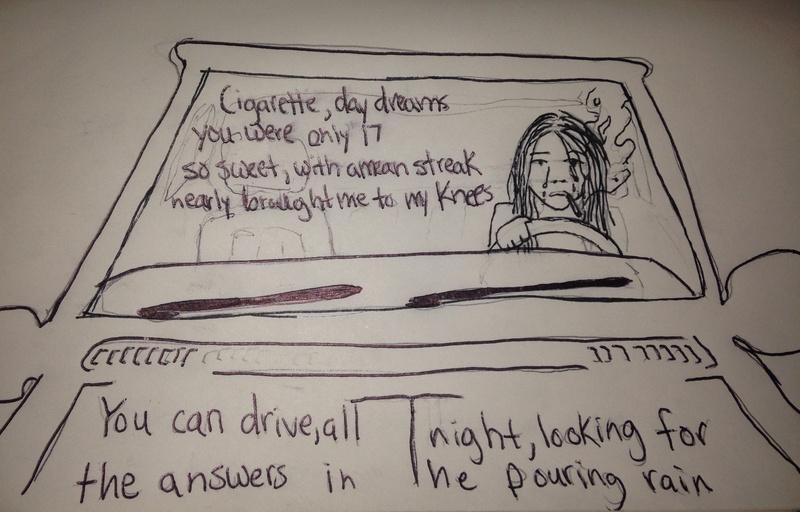 Who is the girl in the drawing for “Cigarette Daydream”? Most of my song are based on actual people in my life, people who are dear to me and have made an impact on my life. “Come A Little Closer” seems to be doing well. How early on did you know that would be your first single? I don’t really know. It wasn’t really our first choice as a single, but everyone was reacting to it well. I think there are songs on the record that are maybe more immediate, but everyone seemed to be gravitating toward it. It felt meant to be. What are the lyrics about? I was in my hotel room in Sao Paulo, and I woke up early one morning, had a cup of coffee, and opened the window to watch the sun come up over the villas, all the makeshift housing on the hillside out of tarps and pieces of scrap metal and stuff. And I was looking at it, and it looked like an intricate system of boroughs, or an anthill. But then I started thinking that up close inside the houses there were little souls, souls that were walking around and had heartache, and love, and loss and joy. So that’s kind of where I got the concept of looking at things closer. I heard you tried some new songwriting techniques on this record. Can you tell me about these? In the past we’ve always kind of held fast to the old saying that you should read more than you write, so we listened to as much diverse music as we possibly could, and then created music that was a culmination of all of the things we loved about music. But on this record, it wasn’t necessarily so much about the variety and different styles we pick up along the way, but more about losing the style. I heard you didn’t listen to music all winter to see how it would affect your songwriting. Well it’s not that I didn’t listen to any music at all, obviously we were making the record so I was around music every day. I have a lot of friends in great bands that all were around, and they all happened to be writing records at the same time. I was around music more than I’ve ever been before. But I hardly listened to any recordings, except for Christmas music. Oddly enough, I think I listened to more Christmas music in the summer than I did during Christmas. I love Christmas music. You also invited people over to your house and interviewed them for lyrical content. I was talking to Tiger Merritt, the lead singer of Morning Teleportation, about songwriting. We were discussing lyrics and he told me I shouldn’t write to try to sound poetic, but to write how I speak, because that sounds poetic. It was super convicting, and the basis of this huge experiment I started doing. I realized that beautiful things were coming out of people’s mouths all the time, so I’d have people come over, and I’d interview them and pull sentences from the stories they were telling. I might embellish the phrase a little maybe add a little color to it, but for the most part I was just pulling lines, and it ended up being a really cool thing.